With numerous vehicles to work on, few automotive technicians have a lot of extra time to spend finding leaks and component defects. Nor can they experiment with multiple instruments hoping one will fulfill their needs. What they need is one reliable diagnostic tool that will pinpoint problems quickly and accurately. The Tracerline® Marksman™ is the choice for many technicians and they’re extremely satisfied with the results. The Marksman is an ultrasonic tool that converts and amplifies inaudible sound into an audible “natural” sound the human ear can easily identify. Think of it as an early warning system that detects problems before they result in major breakdowns. When used regularly, it reduces labor time and high-cost repairs. The Marksman not only provides information through its ability to “hear” the ultrasound that is produced by various types of equipment, but it also has the ability to show the feedback level on a graduated LED bar readout. We posed several pertinent questions regarding the use of the Marksman to technicians currently using it in the field. • For what types of jobs do you find the Marksman most useful? • Have you used other products besides the Marksman to perform these functions? • Do you find the Marksman to be superior? If so, why? • Have you found other uses for the Marksman not mentioned in our promotional materials? Ron Sanford, an auto mechanic for the County of Hawaii’s Automotive Division in Hilo, Hawaii, uses the Marksman to detect air and water leaks. “I used a smoke machine prior to using the Marksman. The Marksman is quicker and more accurate than the smoke. I am still experimenting with other uses for the product,” Ron stated. For technicians who are unfamiliar with this technology, the Tracerline Marksman is an easy-to-use, state-of-the-art tool for finding air brake, compressed air, vacuum, EVAP system and other pressurized leaks. 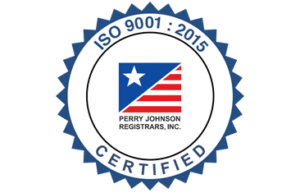 It also pinpoints air and water leaks around faulty seals, gaskets and weather stripping in doors, windows and other non-pressurized enclosures. Getting started is simple. There are no knobs or buttons to adjust.Just turn on the Marksman and it’s ready to go! The unit’s Automatic Gain Control (AGC) circuitry automatically adjusts to optimize signal sensitivity during every inspection. Since the receiver weighs only 10 ounces, it is convenient to carry around for lengthy, fatigue-free inspections. 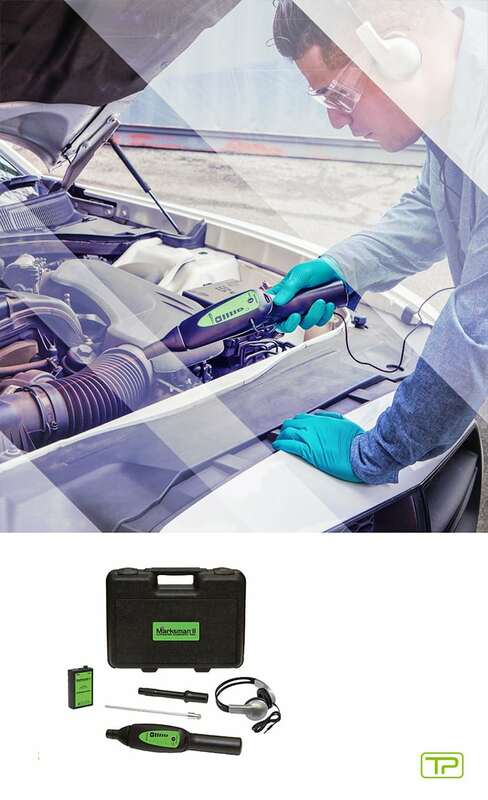 As evidenced by positive feedback from the field, the Marksman has become the diagnostic tool of choice for many technicians looking to find a more effective way to find a wide variety of vehicle leaks and defects. Its super-sensitive capability, which detects problems before they become major headaches, makes it perfect to integrate into a periodic preventive maintenance program. The Marksman kit consists of an ultrasonic receiver, ultrasonic emitter for non-pressurized leaks, headphones, air probe and contact probe, all packed in a sturdy carrying case. At Tracer Products, we strive to offer a better way to do business and detect leaks—period.